1 mg tablet of finasteride should be taken once daily and can be taken with or without meals. In general, daily use for 3 months is necessary before any results are observed. “I have too much hair,” said no one ever. Did you know you can start losing your hair in your 20s? In fact, 25% of men with male pattern baldness (MBP) begin the process before age 21. The good news is, finasteride (generic for Propecia) can help you keep your hair, despite whatever genes you were dealt. The reality is, the more time you spend in denial, the more hair you’re going to lose. If you’ve noticed your hair thinning around the top of your head or receding at the temples, there’s a good chance that you have male pattern baldness. You might also start noticing hair on your pillowcase or in the shower, but don’t worry—finasteride can help prevent and even reverse the hair loss process. Control your hair’s destiny before it’s too late. Men now have a choice whether they keep their hair, and that’s where Finasteride comes in. But it’s important to start now—it’s much harder to get your hair back once it’s gone. 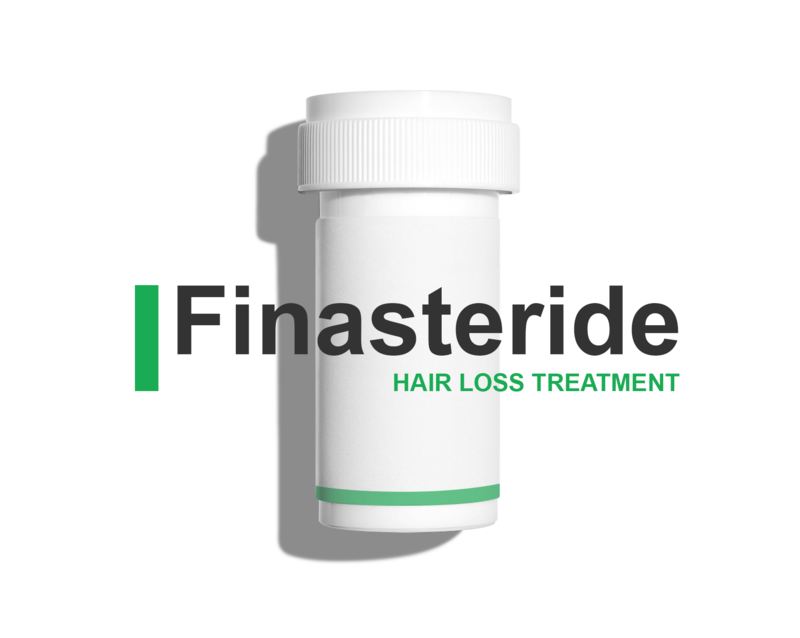 The earlier you start treatment, the more effective it will be, so get started with Finasteride today. Finasteride tablets, USP are for use by MEN ONLY and should NOT be used by women or children. Read this Patient Information before you start taking finasteride and each time you get a refill. There may be new information. This information does not take the place of talking with your healthcare provider about your medical condition or treatment. •	Pregnancy. Finasteride use is contraindicated in women when they are or may potentially be pregnant. Because of the ability of Type II 5α-reductase inhibitors to inhibit the conversion of testosterone to 5α-dihydrotestosterone (DHT), finasteride may cause abnormalities of the external genitalia of a male fetus of a pregnant woman who receives finasteride. If this drug is used during pregnancy, or if pregnancy occurs while taking this drug, the pregnant woman should be apprised of the potential hazard to the male fetus. In female rats, low doses of finasteride administered during pregnancy have produced abnormalities of the external genitalia in male offspring. •	Hypersensitivity to any component of this medication. Finasteride tablets are not indicated for use in women. Women should not handle crushed or broken finasteride tablets when they are pregnant or may potentially be pregnant because of the possibility of absorption of finasteride and the subsequent potential risk to a male fetus. Finasteride tablets are coated and will prevent contact with the active ingredient during normal handling, provided that the tablets have not been broken or crushed. Men aged 55 and over with a normal digital rectal examination and PSA ≤3.0 ng/mL at baseline taking finasteride 5 mg/day (5 times the dose of finasteride) in the 7-year Prostate Cancer Prevention Trial (PCPT) had an increased risk of Gleason score 8 to 10 prostate cancer (finasteride 1.8% vs placebo 1.1%). Similar results were observed in a 4-year placebo-controlled clinical trial with another 5α-reductase inhibitor (dutasteride) (1% dutasteride vs 0.5% placebo). 5α-reductase inhibitors may increase the risk of development of high-grade prostate cancer. Whether the effect of 5α-reductase inhibitors to reduce prostate volume, or study-related factors, impacted the results of these studies has not been established. •	decrease in your blood Prostate Specific Antigen (PSA) levels. •	There may be an increased risk of a more serious form of prostate cancer in men taking finasteride at 5 times the dose of finasteride. Tell your healthcare provider if you have any side effect that bothers you or that does not go away. These are not all the possible side effects of finasteride. For more information, ask your healthcare provider or pharmacist. You may report side effects via the FDA MedWatch Program at www.fda.gov/medwatch or 1-800-FDA-1088.